Synopsis: This mini-love-lesson starts with a brief review of how arrogance and love work against each other; a look at the nature of arrogance; true and false arrogance; its destructive effects on love relationships; an appreciative note on Paul’s unusual inclusion of arrogance in his list of what love is and is not. Arrogance acts as a put down to others as it attempts to put up the person who is demonstrating the arrogance. Love works to help put up, or boost, everyone with no put downs involved. When a person speaks or acts with arrogance, they may not know it but they are sending a message conveying that they are more okay, important and of significance than the person to whom they are sending the message. Furthermore, the message conveys that the person they are messaging is of a lesser worth, status and power than merits much notice, attention or interacting with. That message also may be received and interpreted by those who are very wounded and vulnerable as indicating they are being seen as too unimportant, deficient and flawed to be loved or to even to exist. Healthy, real love motivates sending a very opposite message. It works to indicate you certainly are an okay person worthy of attending to, dealing with, noticing, appreciating, caring about and you certainly are of equal, democratic value and importance along with the rest of us. In short you are a person to love and your existence is valued (see “Communicating Better with Love: Mini Lessons”). Arrogance has been described as unpleasant, unattractive and undeserved pridefulness. Arrogance simply can be defined as a pretentiousness of superiority over others. It often is manifested by behaving insolent, overbearing, contemptuous, pompous, vain, demeaning, smug, imperious, haughty, intolerant, conceited, lordly, entitled, disdainful, bored, dismissive, excessively critical and with exaggerated bragging. There is true and fake arrogance. True arrogance is when someone consciously really believes they inherently are superior to others. Fake arrogance is when someone acts superior but consciously knows or suspects they are engaged in a phony act. In both cases, it is thought that subconsciously those manifesting arrogance secretly suspect and strongly fear they are actually inferior. A lack of true, healthy self-love is suspected as being at the root of all that. Arrogance actually may be a compensating defense mechanism trying to counterbalance the lack of self-love (see “Self-Love -- What Is It?”). Arrogance probably exists because it works. At least it works in shallow, not close, pragmatic relationships but it does not work well in real love relating. Some people use arrogance to show they are powerful, as a way to dominate in social situations, as a support mechanism giving permission to rudely vent anger, be negatively critical and openly show disapproval, etc., to fend off would-be challengers, avoid being vulnerable and to escape more real and emotionally close, personal interactions which they secretly fear and feel inadequate about. Arrogance may have evolved from primitive blustering behaviors which helped scare off competition and assisted in keeping underlings compliant and submissive. Frequently arrogance tends to have a distancing effect in couples, families and friendships. That especially is true if the demeaning put down component in arrogance is strong. There are people who admire what they think is arrogance but often it really is okay pride, playful showing off or just self-confidence they are perceiving. 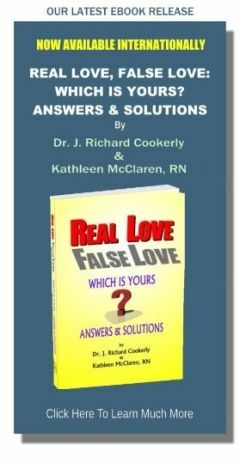 Healthy, real love is strongly affirmational rather than demeaning and disrespectful as is arrogance. In some relationships, arrogance is demonstrated through disguised constructive criticism, teasing and other subtly dominating actions. It also can show up as for your own good manipulative behavior. 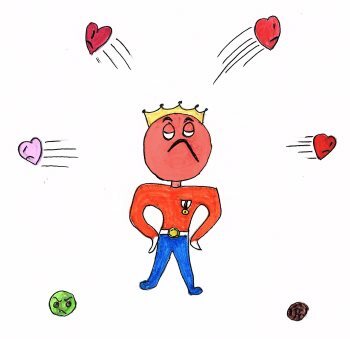 All that tends to erode love and frequently results in passive aggressive counterattacks and sometimes eventual relational abandonment. Sometimes these negative effects are hidden and suppressed but secretly they are accumulating internally. Then eventually there is a big, destructive eruption and maybe a relational dissolution. The participants in Love Relationships benefit from healthy self-pride, self-esteem, self-confidence, and self-love partly because none of that needs to have any put down or demeaning component as does arrogance. Acting arrogant to a loved one tends to decrease rather than increase their respect for you and it is no help at all in growing emotionally closer and more loving with one another. Emotional distancing that sometimes occurs with arrogance treatment has been cited as increasing the likelihood of an affair occurring. Arrogance also is thought to help demote democratic teamwork development in couples and families, as it promotes resentment and resistance in the same arenas. None that can be good for, or part of growing healthy, real love. Arrogance interweaves with Paul’s tenet of love not being boastful/pretentious but it also presents a whole array of additional components to consider as we already have seen. Paul’s anti-Arrogance message is one of the more surprising inclusions in Paul’s list of what love is and what love is not. Not many have addressed the arrogance and love issue but on close analysis there are those who find it insightful, inspired and an essential understanding about love. Paul wrote love is not “ou phusioutai” which in Paul’s Greek is literally translated as “not puffed up” but then, as now, it is interpreted to mean not arrogant. Some think it is better translated as love is “not conceited” or “puffed up with false pride” or a “with sense of superiority”. Perhaps Paul understood that when one person in a love relationship, or a love network has an arrogant sense of superiority over one, or more, others in the relationship, that has a poisonous effect on the love relationship. This was and still seems to be a rather under-dealt-with understanding of how love does and does not work (see “How Love Works -- Seven Basics”). Who do you know that might enjoy talking about what you have just read? Might not doing such talking be expansive and enriching? If you do it, please mention this site and our many free mini-love-lessons as well as our free subscription service where you automatically, every month receive intriguing, recent and useful information about love, arguably the most important of all topics. Quotable Question: If I love you and treat you arrogantly, have I not just shown you I have deficiencies?